A family-owned business is a wonderful way to make a living, especially as your company can do more than just provide you with a job. Your company can also become your legacy. You can hand it down through the generations and can ensure that it survives long after you are gone. Unfortunately, far too many people with family-owned businesses see their companies suffer a decline in value or even fail when they decide to retire, when they have to leave the business for any reason, or when they pass away. Family-owned businesses can also put individuals at risk of personal financial loss if their company has financial problems during their lifetime. How should you protect your family-owned business? How can you protect your assets and investments? How can a Long Island business and estate planning lawyer help you? Disability: If you or any of your co-owners becomes incapacitated or cannot work due to disability, who will take over ownership and management of the company? Divorce: If your marriage ends or if any of your co-owners get divorced, will you be forced to continue working with an ex or to buy your ex out of the company? Could you end up in a situation where your ex owns a big part of your business? Departure: What happens if you or any co-owners simply decide to leave the business and move on to other things? Can you give your share of the company to anyone of your choosing or do your co-owners have first rights to buy the business? How will company shares be valued if anyone is bought out? Death: If you pass away, can ownership and control of your company transfer seamlessly? Will the value of your business trigger estate tax, forcing your beneficiaries to get loans or even to sell company assets in order to pay the tax bill? Eghrari Law Firm provides help in answering all of these questions and many more. We can assist you in making use of the legal tools available to you, including buy-sell agreements, incorporation, power of attorney, and trusts to protect your company and to make sure operations can continue even if you or any co-owners are no longer involved. How Can You Protect Assets and Investments? Business owners need to make sure they protect the value of the company by avoiding any periods of uncertainty over ownership and by avoiding mismanagement of company assets. You should ensure that you have a business succession plan so there is an orderly process for new owners taking control if you must leave for any reason. Often, leaving your company to your kids in a will is not going to be a good enough solution to ensure your company continues to operate smoothly, so you will likely need to explore other estate planning options. Your company could also be at risk of financial loss if you become incapacitated and don’t have a plan for someone else to take over immediately. A Long Island business and estate planning lawyer can help you to address those issues. You also are at risk of losing personal assets to a business lawsuit or business bankruptcy if you haven’t incorporated your company or formed an LLC or limited partnership. You should talk with an attorney about the best ways for your business to be structured to provide the protection that you need. 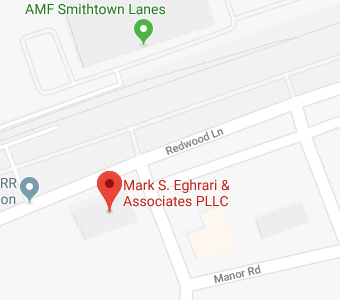 Eghrari Law Firm can provide you with invaluable assistance taking all of the essential steps to protect your personal assets and your family business. Give us a call at (631) 265-0599 or contact us online to find out more about the ways in which we can help you.